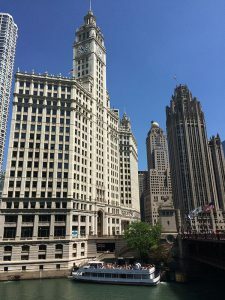 I have landed in Chicago yesterday (Friday) and spent the evening and part of the day to acclimate myself to the different timezone and also to visit a bit the city. This is one of the great aspects of Kscope: it’s itinerant and move each year in a different place. I only attended two till now: 2015 in Hollywood (Florida) and this one in Chicago (Illinois). 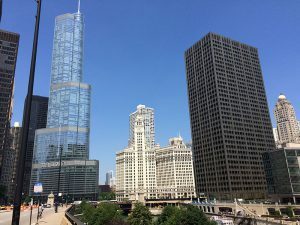 So this time I will discover Chicago and, because the event is hold really close to the Navy Pier, it’s really easy to walk around and see some of the most famous places and buildings of the Chicago’s skyline. The event itself officially starts tomorrow morning, but as many of the attendees are already in town or joining today it’s also a good occasion to meet old friends (and make new one). Of course I don’t forget I have a presentation to do, so still in the middle of the never ending phase of “just a last little change” which generally ends up with a presentation changing a lot in the last 2-3 days before delivering it. So what’s my presentation about? This year I will be delivering a presentation about security in OBIEE and targeting a wider audience than last year, from the developer to the manager, from the administrator to the architect of the BI solution. In this session we will discuss in detail the different security layers of OBIEE (RPD, Presentation Service, and Catalog), and a standard and universal approach will be offered. This solution is able to match most requirements while remaining flexible enough to be extended for the most extreme needs. From the small departmental setup to a full corporate BI solution: a single model to rule them all. Security in OBIEE projects is often an underestimated and forgotten aspect. Often implementations starts with a simple or no security at all as it’s more a proof of concept or just a prototype. When the solution will growth security is added and fixed like a set of patch over patch to end up with a nice messy setup defined by multiple strategies. So with this presentation the target is to first review all the places where security exists in an OBIEE implementation (there are many and work in different ways) and after to review how it’s possible without too much work to get a security setup able to evolve and cover the future needs. For this presentation I have the pleasure to have Christian Berg as copresenter, being two will make it possible to deliver a more objective point of view on security. Come and see me presenting on Tuesday 28 at 15:30 !